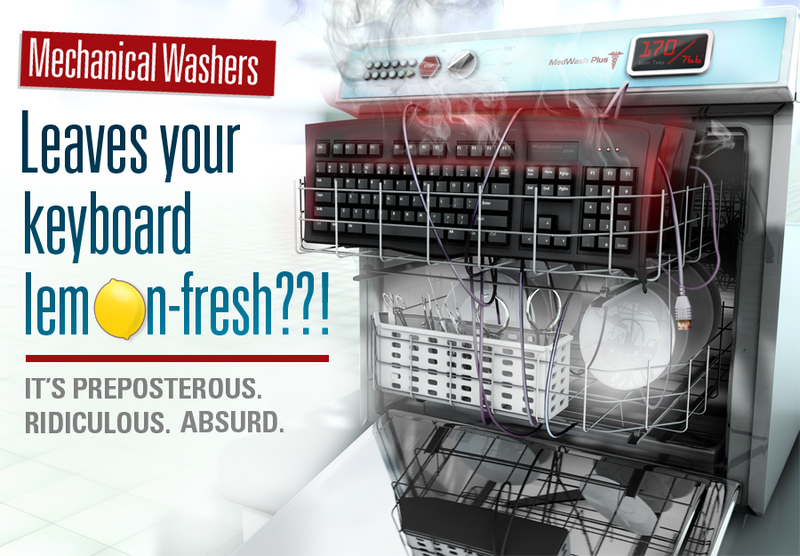 Our competitors claim that using a medical washer, or a dishwasher, to clean your medical keyboards should be considered a best practice. This is an impractical waste of time for I.T. 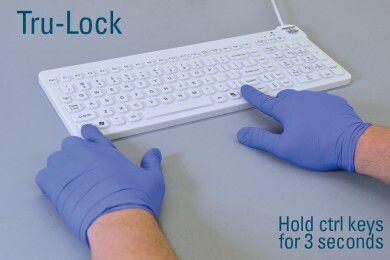 staff members who have to regularly disconnect every keyboard in a department, take it to a medical washer, put it through a full wash cycle and then reconnect the device. To make matters worse, AAMI guideline temperatures for your mechanical washer’s cleaning cycle, will kill your keyboard. Hospital mechanical washers clean at temperatures of 170° or higher. Perfect for frying electronic components. Metal parts, like the USB connector, are rust magnets in the tropical climate of a mechanical washer. 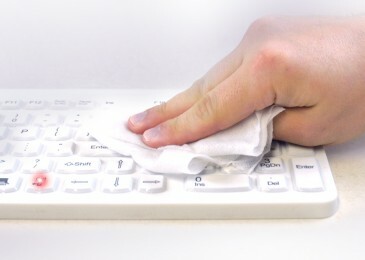 It’s disruptive and costly to disconnect a keyboard every time it needs disinfecting. 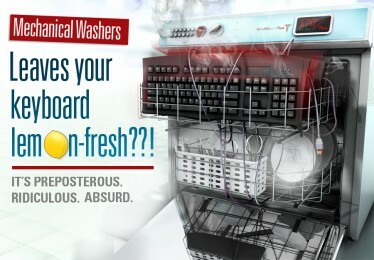 From the time it’s unplugged until it returns from the washer, that keyboard is costing you money. Just hold the Ctrl key for three seconds. While locked, you will see three flashing lights. When done washing, just hold the Ctrl keys for another three seconds and you are ready to type. No gibberish on the screen, no need to shut down your computer. Your Lockable keyboards are ready action once again.